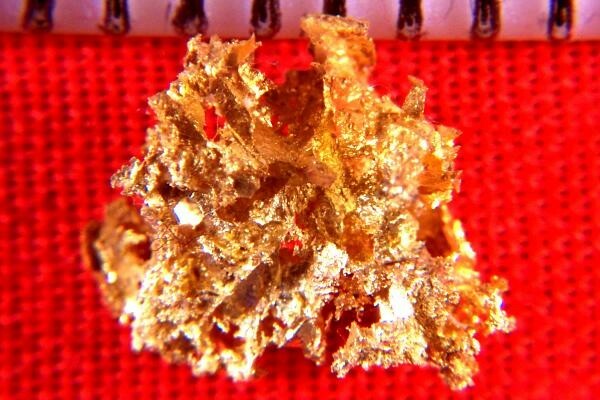 Home :: Gold Nugget Gallery :: Intricate Crystalline Gold Specimen from Round Mtn. Intricate Crystalline Gold Specimen from Round Mtn. 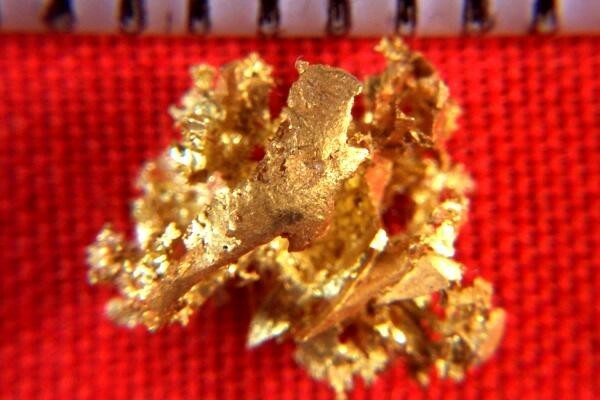 This is a very intricate natural crystalline gold nugget specimen from Round Mtn. It has a spectacular crystalline structure with a gorgeous color. It is 3/8" long (10 mm). The weight is 8.5 Grains (0.55 Gram). It comes in a plastic gem jar for protection and display.